Learn what our clients are saying about their recent culinary experiences with Steven in Provence... from perfectly orchestrated champêtre-chic weddings to sophisticated, private chef events. "Nous avons choisi Steven's Kitchen pour notre mariage et nous avons réellement été ravis. Un professionnalisme et une gentillesse rare! Nous avons particulièrement apprécié son implication (toujours à notre écoute) et ses bons conseils. Tout était parfait : service impeccable, cocktail félicité et ovationné par l'ensemble de nos invités, repas succulent du début jusqu'à la fin... Nous n'hésiterons pas un instant à refaire appel à ses services!" "We celebrated our wedding with Steven in Lourmarin which was the best way to treat our guests. Steven and his team took care of us on our wedding day until the next day with a brunch at the pool. 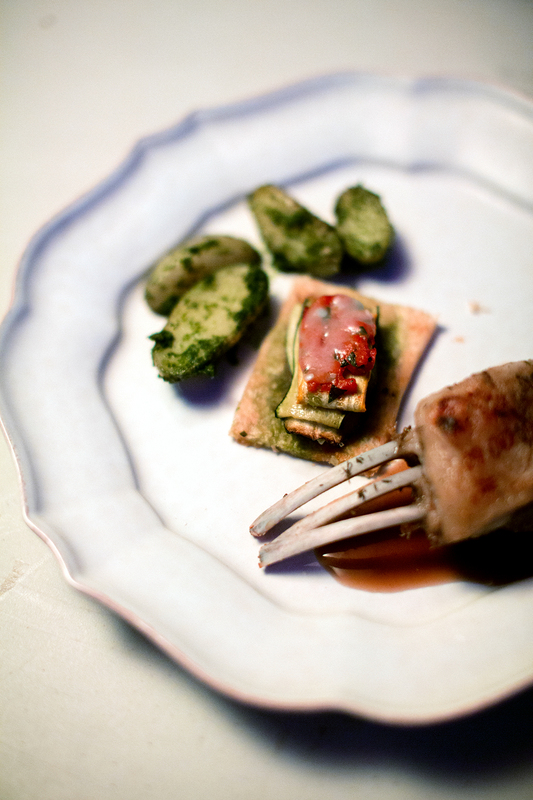 The food was of excellent quality from tiny appetizers to delicious local lamb marinated with wild herbs. His team is very kind and spreads a welcoming atmosphere so that everybody felt happy and satisfied. The drinks like his homemade lemonade were delicious and the children loved the chicken nuggets. As we were an international group it was great for our guests that besides French, English was an easy way of communication. They all were thrilled by Steven's smile and homemade waffles the morning after the wedding day. All in all a professional service. We highly recommend Steven as caterer. " "From the moment we started planning our wedding, we knew that two of the most important elements would be the food and the music—and we have to say, both were incredible! Finally, an aspect of the day which we really appreciated (as did our guests) was the perfection of the service provided by Steven and his team. The servers were so discrete, friendly, and professional… everything was served on time and undertaken with the utmost elegance. It was an aspect that we had not thought of during the planning and yet, in retrospect, it was essential to the natural flow and quality of the day. Thank you to Steven and his team for being such an important part of what really was the most beautiful, memorable day of our lives. " ©2016 Steven Borishansky, All rights reserved. Design and branding produced by BIGFLY Design. Provence Wedding Event images by Photograher, Chloé Peyssonnie.